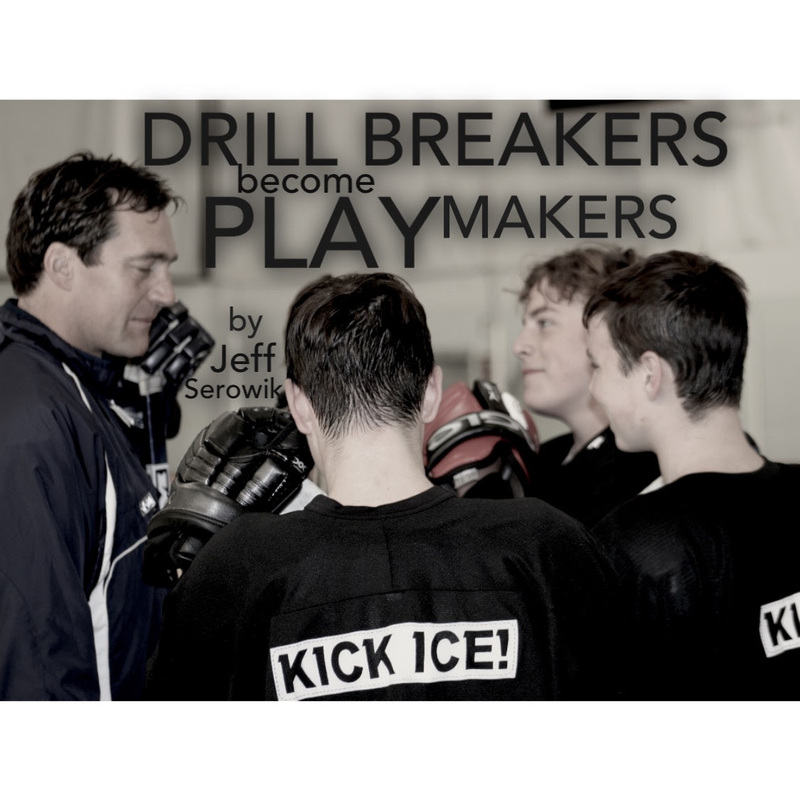 Drill Breakers Become Play Makers - Pro Ambitions Hockey, Inc. I remember how complicated the drills were when I made the Pittsburgh Penguins. The systems, the pace, the skill level was all at a level I was not used to. In the minors, I was one of the best players on my team. Practices were not stressful. The significant bump in play to the NHL was similar to the transition I felt from prep school to college hockey. When playing for the Penguins, I felt the nervous feeling in my stomach that I would typically feel on a game day, but now I had that feeling every day even for practice. If I broke a drill, I was stressed. Whipping passes around practice at lightning speeds, tape to tape, at this level was something I had never experienced. Jaromir Jagr was on my team to put the level of play into perspective. He had no patience and would bang his stick if he was given a bad pass. I wanted to write this article for the kids because… if you are too comfortable at practice, you may be ready for a bump up to a new team, which is great. You are on the cusp. I see it at my AAA BU camps most especially. On the other hand, if you are breaking drills, keep the faith and pay attention and engage to the best of your ability at practice. Remember that ice time is precious and we don’t want to waste a minute of it. Our sport is one in that we cannot just go practice in the backyard, we need ice. 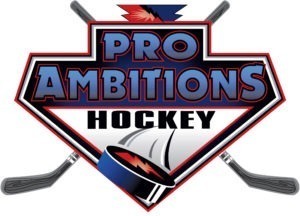 At Pro Ambitons Hockey, Inc. we will push every player out of their comfort zone. But know this, we will never judge, imtmidate or single you out. We want you to be a little nervous so we can push your game to the next level. We will be teaching, training and battling. Your kids will be pushing themselves and feeling very proud. All of this in a learning, and encouraging environment. Unbiased eyes, our only agenda is giving your son or daughter the summer hockey growth spurt. AAA Boston University camps are the best selection for the serious player. Go to www.proambitions.com to read about all of the different curriculums at our seven weeks of camp at Boston University. We have a few spots at each BU camp for private instruction to add on your own coach. It is the ultimate hockey training. 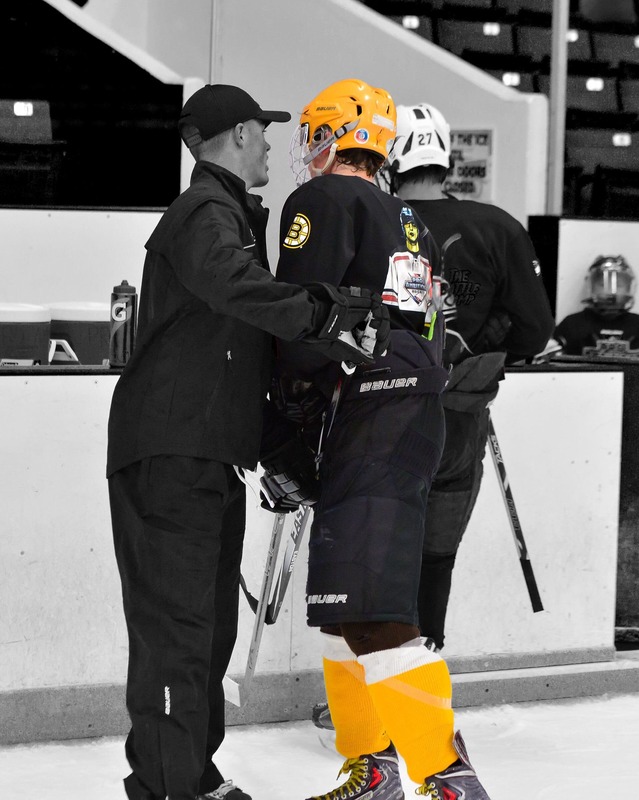 Pictured below is Ryan Donato, one of our personal training coaches at BU. Ryan currently plays for the Harvard Crimson and is drafted by The Boston Bruins. And one more tip of the day, ALWAYS KEEP YOUR BODY FACING THE PUCK AND THE PLAY. lol. Can’t say this enough to youth players. Never turn your back on the play, ever.